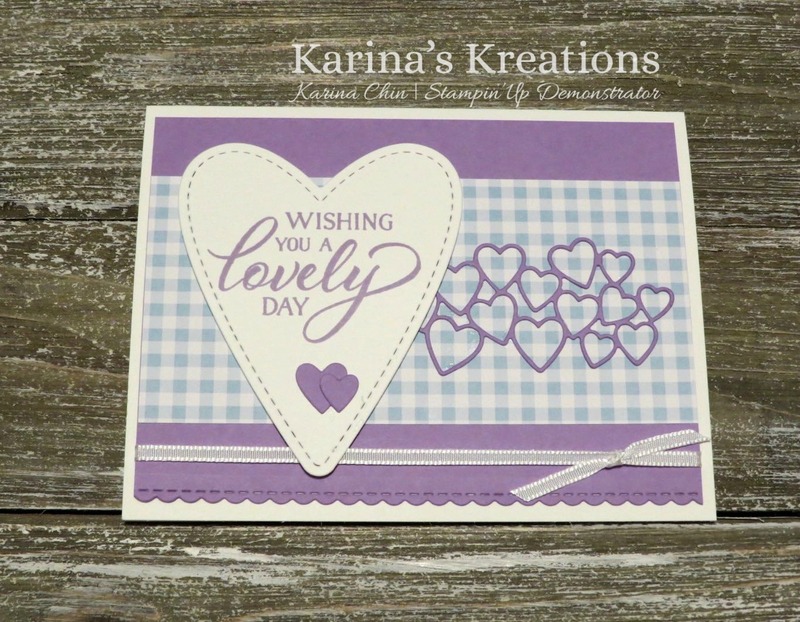 Karina's Kreations: Stampin'Up Be Mine Stitched Framelits Birthday Card! Stampin'Up Be Mine Stitched Framelits Birthday Card! I made this pretty birthday card using the new Be Mine Stitched Framelit Dies and Forever Lovely stamp set. Both items are available January 3. I really love the framelits dies. can see you the stitching elements on the card? I love the heart thinlits. 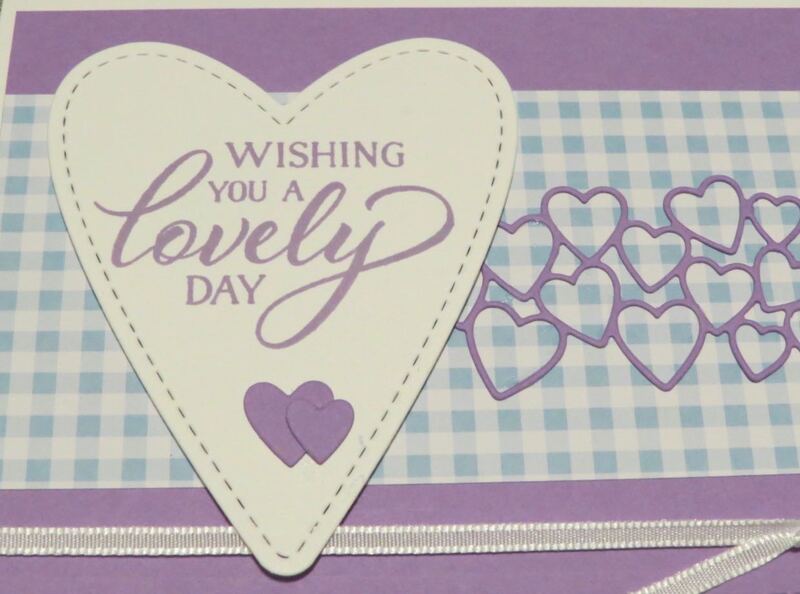 This die cuts out lots of hearts that I'll be using on another card.